Launched in 2012, the Boreas liquid propulsion demonstration project is a partnership with Airbus Safran Launchers. It is the result R&T breakthroughs for future propulsion systems such as the Prometheus engine. Boreas aims to validate on-board technology. It also aims to test the engine’s ability to continuously shift its operating point to adapt its output according to in-flight requirements; the final objective is to acquire expertise to develop a reusable engine. The demonstrator will be performing engine, liquid oxygen-hydrogen combustion chamber and nozzle tests. They will take place from 28th June to late July at the DLR’s P8 bench in Lampoldshausen, Germany. 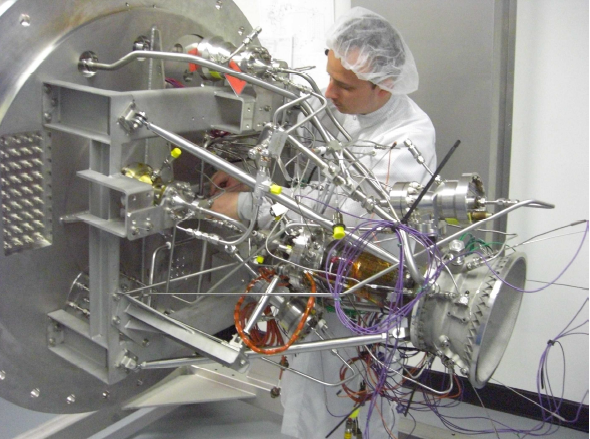 The objective is to validate the nozzle’s behaviour and the engine’s performance in an altitude simulation chamber. Results will be used to better calibrate full-system tests.